After Hakuba International Trails in Nagano three weeks ago, the Shinjo-Hiruzen Super Trail in Okayama was the second 2018 Japanese Asia Trail Master Candidate Race in less than a month. A very exciting development, and we are looking forward to opening more doors to Japanese events, because after all, if there is one Asian country that can be associated with running it is the Land of the Rising Sun. 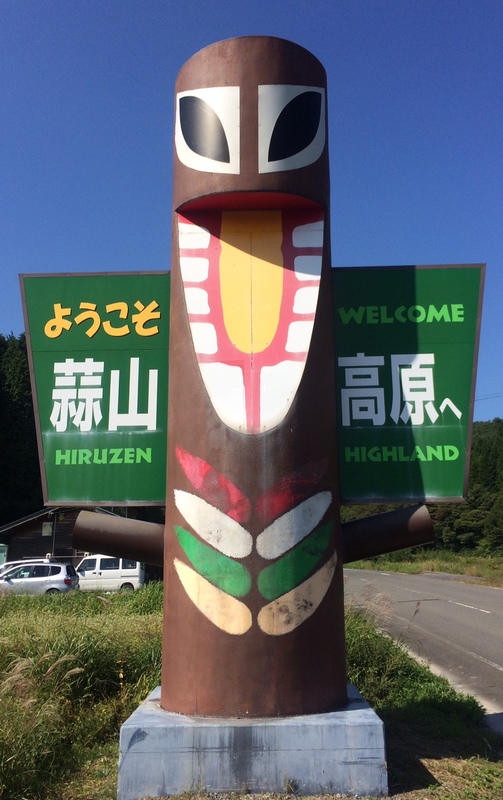 The Shinjo-Hiruzen is essentially a 74 km race across the Shiruzen Highlands. Total elevation gain is 3200 Hm, which is not nothing yet seemingly unspectacular neither. As usual, numbers never tell the whole story, as several climbs on the course of Shinjo-Hiruzen are so steep ropes are a must, and one cannot imagine what it would be like if it were wet and muddy on race day. The 350 participants on the long course (about 300 took part in a short race as well) certainly felt their legs and feet afterwards. The first part of the course is arguably the most scenic, with beautiful horizon views along the hilly trail. Last Sunday, runners even discovered themselves to be above the clouds. The highest peak was 1200m+ above sea level, after all. The second part, especially beyond km 45 is pure forest trail that goes continuously up an down. The event was very well-organised and also benefited from the strong local community support, which was illustrated by the nice pre-race welcoming dinner party on Saturday late afternoon. The Shinjo-Hiruzen area proclaims itself to be the most beautiful village are of Japan, and in fact it is indeed a very popular tourist area, particularly in autumn when the forest turns magnificent orange and yellow. For the culinary enthusiasts among the trail runners, Okayama Prefecture is not far away from Kobe, and the beef tastes just as exquisite!